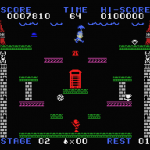 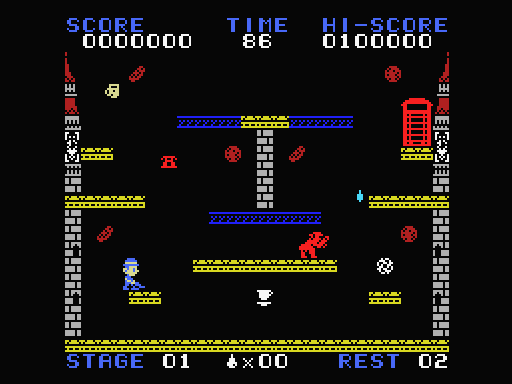 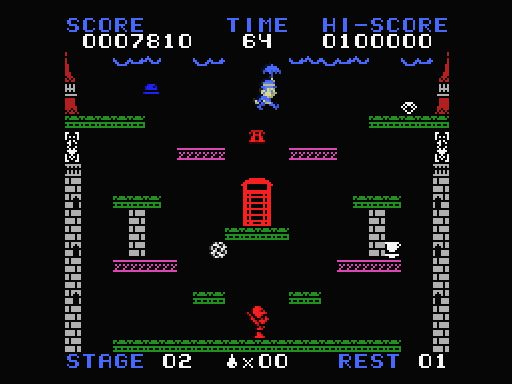 With a simple gameplay but with lots of elements that makes the playability aspect shine above all, British Bob dazzles with its approach and fun atmosphere.. As an oldschool fixed-screen classic platform game, it keeps on challenging the player with surprises, creating a catchy and addictive experience. 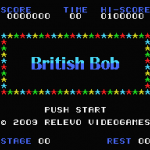 Biscuits, tea cups, stormy clouds, bulldogs, bowler hats… British Bob is here to stay: would you face the challenge of finishing the whole game? 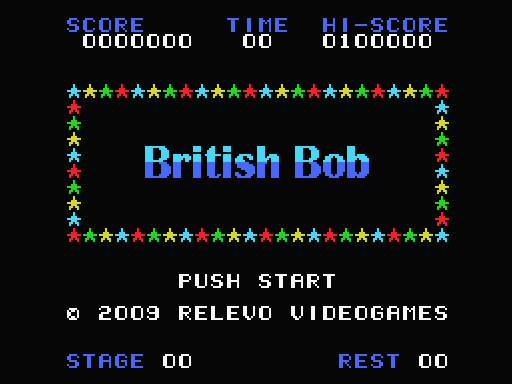 Bob to the rescue! The Queen herself has summoned you to her palace to ask for help. 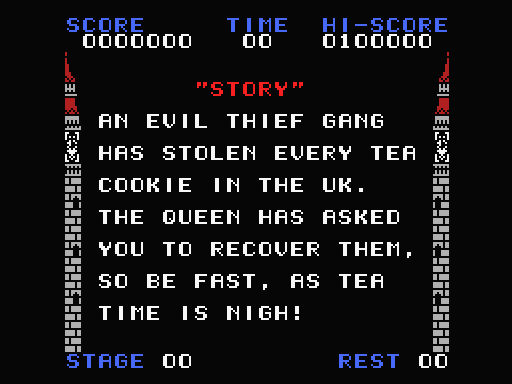 A gang of thieves has stolen all tea biscuits in the United Kingdom! 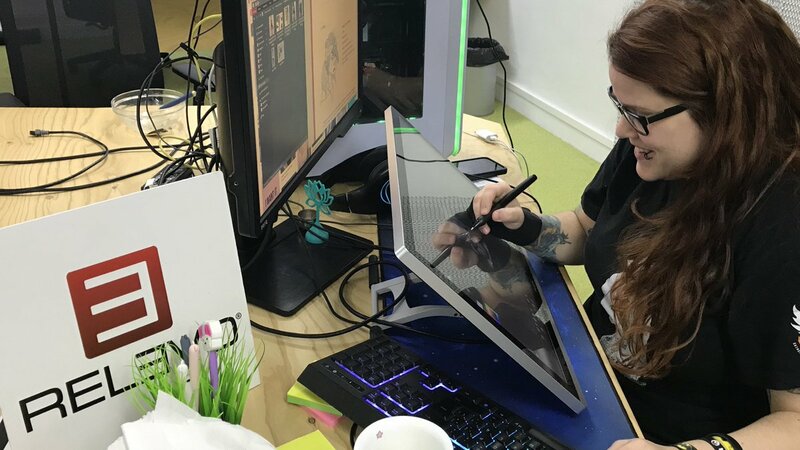 This is bad news indeed, as you must recover them before tea time comes! 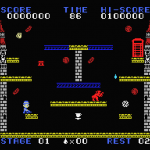 If you succeed gathering all biscuits in a stage, you will be able to get the tea cup… in that very moment, the phone booth will open, letting you enter it to face the next challenge. 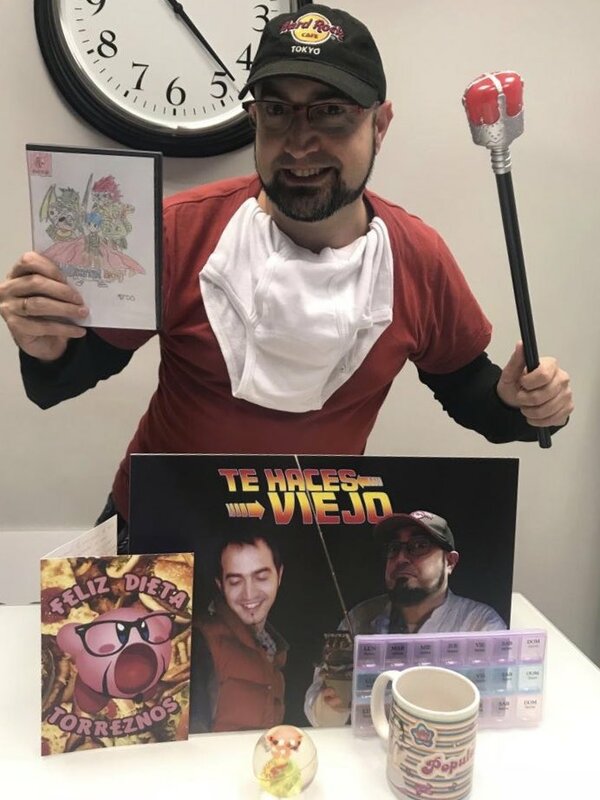 Will you make yourself with all the tea biscuits before the storm ruins the day? 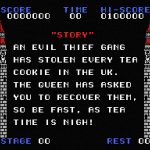 The real goal of the thieves were the biscuits, or everything is a cover to get a better treasure? 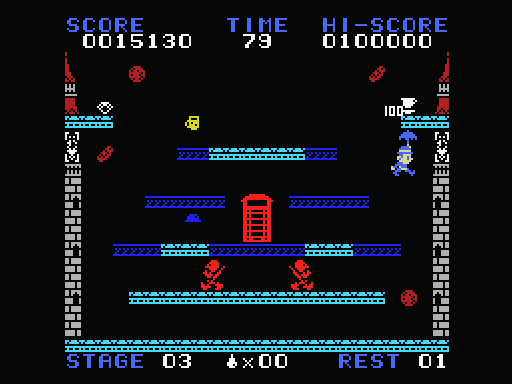 British Bob takes his bowler and, with his trusty umbrella, jumps into the adventure!